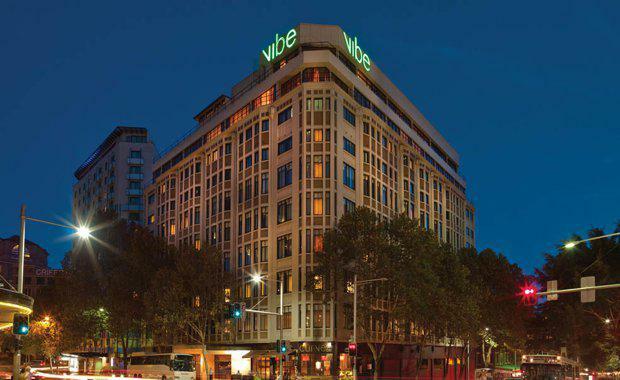 The Australian Financial Review has reported that the Far East Organization has paid an estimated $90 million for the Vibe Hotel Sydney. The sale of the 182 Elizabeth Street hotel is likely to become a key attraction for Far East in Sydney with the yield estimated to be in the 5 per cent range. The sale was brokered by Knight Frank's John Bowie Wilson, Dominic Ong and Tim Holtsbaum and JLL's James Aroney and Mark Durran. The hotel comprises of 191 rooms, restaurant and bar facilities, swimming pool, gymnasium and a rooftop terrace. It was reported that the sale was marketed as a residential opportunity, with renowned architectural firm Woods Bagot providing a scheme for a luxury 20-storey apartment tower.